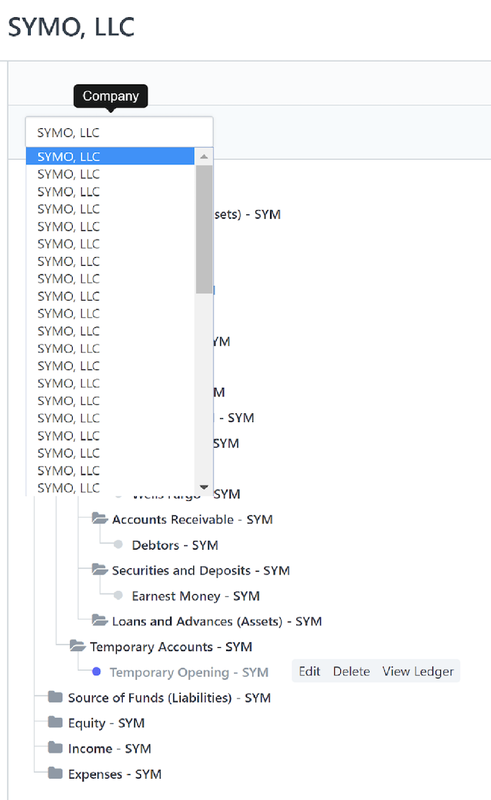 in an ERPNext instance with multiple companies, after the upgrade to v11 (currently on ERPNext: v11.1.12 (master)), I can only see the first company’s chart of accounts. All accounts are available, they can also be used in transactions. However, I can neither view the other companies’ chart of accounts, nor can I add any new accounts. Is this a known issue? Or am I simply missing something? To add chart of accounts go to Accounts >> Chart of Accounts. Then click the New button on the top bar. If you cannot see the button, then it will be a user permissions issue… So maybe create using the administrator account. Thanks for the tip. We are trying to stay reasonably current , but not too close to the edge!